If she gets her way, that’s exactly what she says she wants to do to your firearms, ammunition, and magazines. I’ve laid out for you below the Official Stacey Abrams Gun-Grabbing Record. Please click on each story and get very familiar. Even more importantly, please make a point to FORWARD this link to everyone on your email lists — friends, family, coworkers. 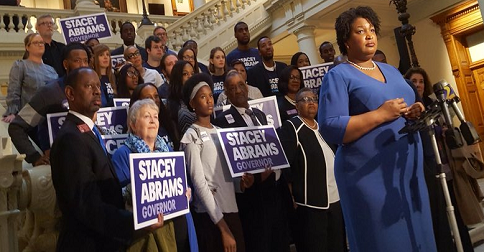 The fake news media is already working overtime to convince voters that Abrams is “moderate”. They’re lying — she’s funded by Soros, Bloomberg, Steyer, Phillips and Sanders — who’ve pledged $50 million to elect her governor of Georgia. Click on the stories below and pass this email around!